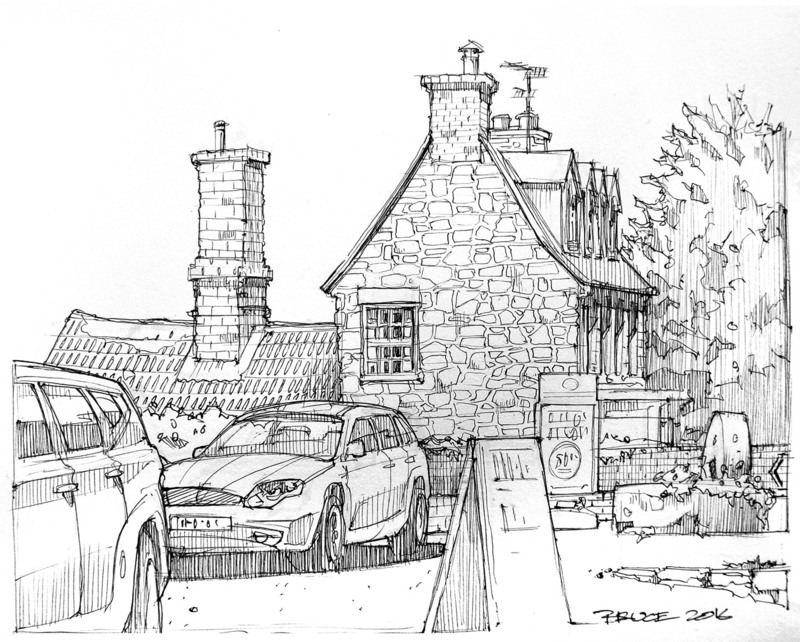 Sketched this while having lunch at the Red Lion, the only Pub in Avebury. It’s also the only pub in the world inside a stone circle (or a henge). We had lunch and a couple of drinks and then went out and walked amongst the stones, down to Silsbury hill and the West Kennet barrow – all neolithic sites in the area. This entry was posted in Architecture, Uncategorized and tagged Avebury. Bookmark the permalink. I demand to see the view down the well.